The end of the year finds many articles offering predictions on what the future has in store for marketing, so you’ll have to bear with us for a few days as we relate how many of those prognostications could affect your law firm. The truth is, whether these predictions become reality or not, your practice has to be prepared for every eventuality. Stay right here as we explore how some of the content predictions contained in a new report need to be understood and acted upon by your law firm. The first thing that the author relates is how content is likely going to become its own dedicated department. Rather than just being a blanket term given to one aspect of your law firm’s marketing, and instead of seeing content approached as a side project by the various members of your organization, content will need to be its own discipline. Is your law firm currently prepared for such a situation? 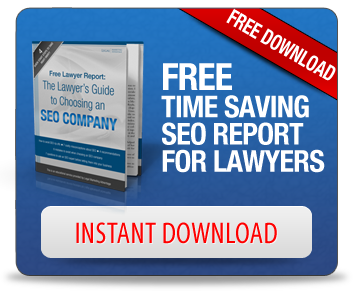 This will require an investment by you, and such an investment is reasonable considering all that content can do for your law firm. With content, you have a constantly replenishing pool from which to draw marketing materials. Every piece of content your firm creates has the potential to earn you links, social shares, clients, and higher search rankings. You can’t hope to rank for the term “personal injury lawyer” for citizens in your state if you’re unable to produce content centered around that subject. And in a world where everyone and their mothers is creating new material on a regular basis, you have to create more and better content than anyone else out there if you hope to succeed in this field. Having a section of your firm for whom creating content is its exclusive domain will be key from here on out. The author also points to the idea that investments in mobile will continue to grow, with those efforts improving as marketers begin to pay attention to mobile devices even before they think about desktop efforts. This is another situation that your law firm absolutely must be prepared for. Your clients use smartphones and tablets. They look for nearby law firms on smartphones, they interact with firms on smartphones, and when you’re through representing those persons, they very well might review your firm on a smartphone app. Make sure everything you do serves to impress those very clients whose actions primarily take place in that mobile world. The other idea we would impress upon law firms is to take return on investment seriously. Really look to see in the coming year which techniques are bringing in clients to your firm and which could be undermining your SEO and marketing efforts. Use content to impress clients in your every practice area on their road to representation, and be ready to alter tactics when something isn’t working properly.